The Bible gives many examples of what is most important to God when we come to Him in prayer. He wants us to pray from the heart. How do we do that? Man was created to need God. But mankind today in general has not known the true God and His revealed way of living. Man has generally failed, leading to all of the evils and suffering we see around us. Even those who have tried to live as close to God as they could have done so imperfectly. Yet even if imperfect, the benefits of a relationship with God far exceed anything offered by this world. To have a relationship with God, we have to keep in constant communication with Him through prayer. The Bible is full of examples of the people of God talking with Him. For example, many of the psalms were actually prayers, and many of those were by David, the great king of Israel. (Consider Psalms 3, 4 and 5, to mention just a few). 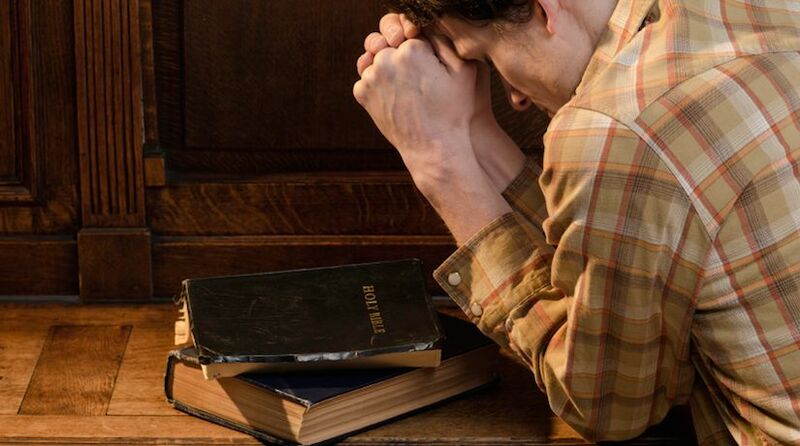 There are many types of prayer mentioned in the Bible, but one common factor in prayers that helped build a relationship with God is that these effective prayers were heartfelt. The Bible records many examples of prayer from the heart. First, let’s look at one prayed by Hezekiah, king of Judah, in the Old Testament. The first prayer we will examine is found in 2 Kings 20:1-3. When the prophet Isaiah told King Hezekiah that he would die, Hezekiah reacted to the message with a supplication found in verse 3. Hezekiah reminded God of his efforts to walk before Him with a loyal heart. It seems he might have wanted to say more to God, but emotion overcame him and he broke down in tears and cried bitterly. So, even before Isaiah had gone out of the courtyard of the royal palace, God sent him back to King Hezekiah with a second message, which was a response to the king’s prayer. In this second message, God said, “I have heard your prayer, I have seen your tears” (verse 5). What did God hear? The audible words of the king were a reminder to God of his efforts to walk before Him with a sincere heart. But there was more of the king’s prayer in his heart where it came from. So God heard the prayer in King Hezekiah’s heart as well as the bit that he managed to utter before he broke down in tears. God does not want lip service. He wants people who seek Him with their whole heart. Jesus warned that those who simply come with words and not actions (not doing what God says from the heart) will not be in the Kingdom of God. It is fair to conclude that the king wanted to ask God to spare his life. God granted that two-part prayer by adding 15 more years to the life of the king. God does not want lip service. He wants people who seek Him with their whole heart (Isaiah 29:13; Psalm 119:2). Jesus warned that those who simply come with words and not actions (not doing what God says from the heart) will not be in the Kingdom of God (Matthew 7:21-23). In another example earlier in the history of Israel, Hannah (who became the mother of the prophet Samuel) made a heartfelt prayer (1 Samuel 1:10, 13). Hers was a prayer in her heart. Because of mental anguish, her lips were moving as in a whispered prayer, but Eli the priest thought she was drunk and rebuked her (verse 14). God, however, heard that inaudible supplication and responded by granting her request (verse 20). We don’t have to always be in anguish in order to pray to God from the depth of our hearts. We can pray fervently out of joy, love and positive emotions as well. We can express our thankfulness to God for wonderful things like marriage, the birth of a child, healings, the beauty of His creation and the way He has fulfilled our needs. We can rejoice in the knowledge of His truth and the perfection of His plan. Whether in anguish or joy or thanksgiving, every one of our prayers should be from our hearts. Sometimes God will test us to see the sincerity of our prayers. This is shown in the parable of the unjust judge (Luke 18:1-5). In this parable God teaches us “that men always ought to pray and not lose heart” (verse 1) because God knows it is good for us to learn to be persistent. When our prayers come from the heart, then we will be persistent and unwavering. Sometimes we have a prayer in our heart, but we fail to say it properly (Romans 8:26-27). Hezekiah groaned in his heart, and God heard the complete prayer. God through the Holy Spirit helps us pray as we need to, and He understands what we are trying to say. From King Hezekiah’s example, we should always remember that God respects a sincere prayer, no matter how poorly it is presented because of our human imperfections. If we always come to God with a true heart, then words of sincerity will follow (Hebrews 10:22).